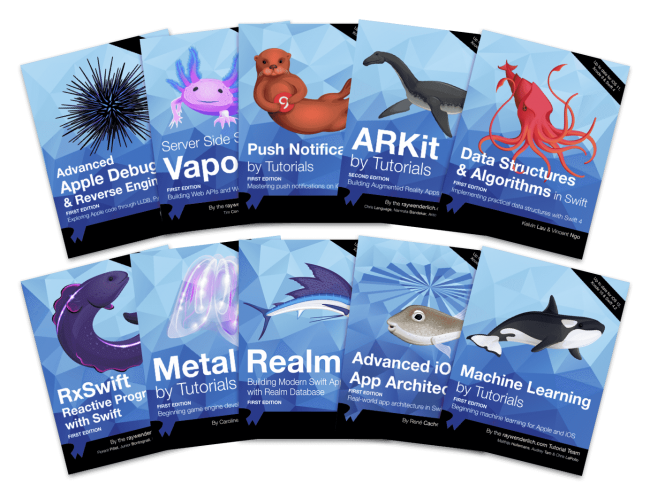 We have a great subscription deal running right now in which you can get a full year’s subscription for just $99 — but did you know you can get some great deals on our books, as well? 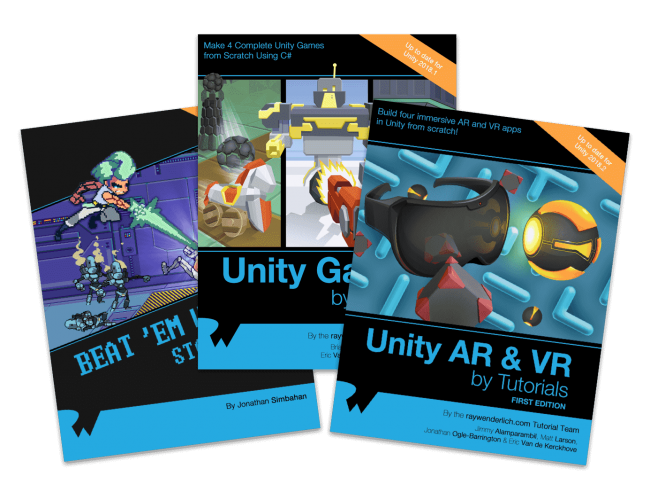 You can get a sweet 50% off all digital edition books in our store — or you can take advantage of our book bundles and save even more! This is the biggest sale we’ve ever had, and it is a great chance to get something you’ve had your eye on. 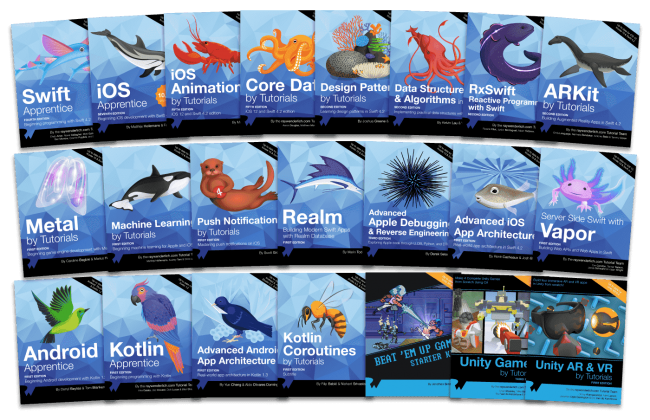 “All the RW books are very professionally written and chock-full of pertinent, useful and approachable information that helps the beginner, intermediate and advance developer alike.” — Mark H.
This bundle includes our two Android classics, Android Apprentice and Kotlin Apprentice, along with our two newest Android books: Kotlin Coroutines by Tutorials, and Advanced Android App Architecture, for just $79.99! 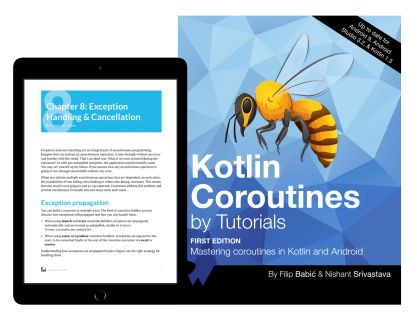 Kotlin Coroutines by Tutorials shows how Android is inherently asynchronous and event-driven, with strict requirements as to on which thread certain things can happen. Add to this the often-cumbersome Java callback interfaces, and you will be trapped in spaghetti code pretty quickly. This book gives you the tools you need to solve common programming problems using asynchronous programming. 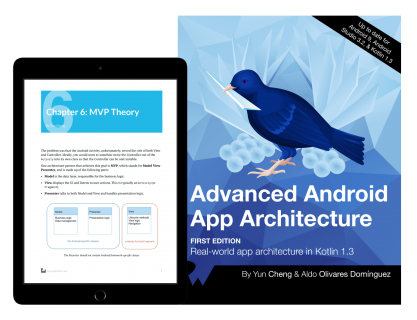 Advanced Android App Architecture will introduce you to a number of popular Android software architectures, including Model View Controller, Model View Presenter, Model View Intent, Model-View-ViewModel and VIPER. 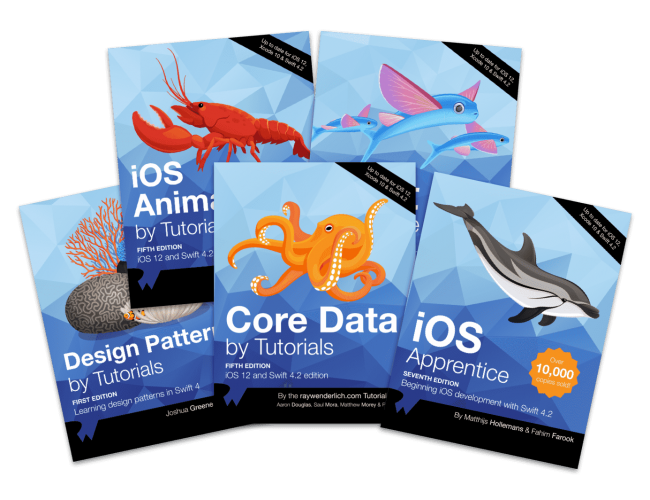 You’ll learn theory, explore samples that you will refactor and learn the fundamentals of testing. 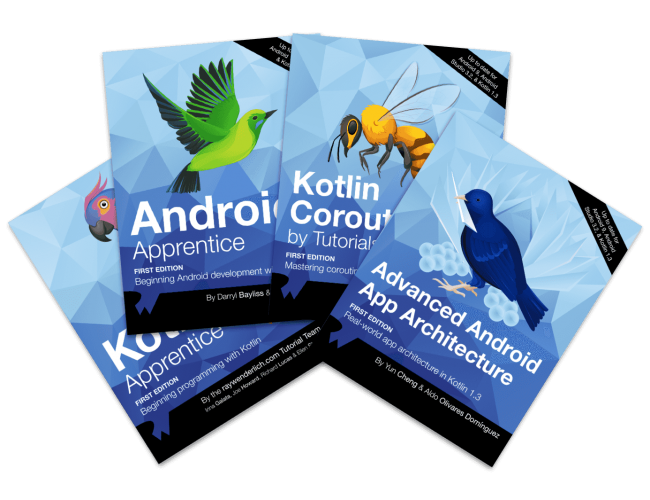 Kotlin Coroutines by Tutorials and Advanced Android App Architecture are available in early-access release; you will get notifications that new chapters are ready as we develop this book delivered right to your inbox! “raywenderlich.com helped me leave a dead-end job and enter a career that I enjoy. And now, the regular content helps me stay ahead of the game.” — Josh W.
So don’t miss out on this opportunity to level up your skills — with the biggest Black Friday/Cyber Monday discounts we’ve ever offered. We hope that you enjoy our Black Friday deals, and, on behalf of the entire raywenderlich.com team, I thank you for your support!